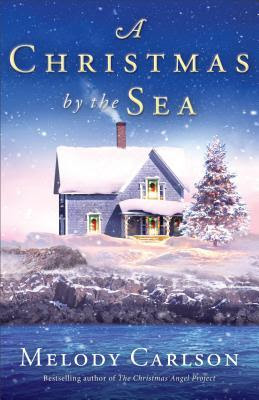 When Wendy Harper inherits her family's beachside cottage in Seaside, Maine, she sees it as a way to finally pay off the debts that have mounted since her husband died. But before it can be sold, the neglected property must be renovated. She and her 12-year-old son Jackson move in--temporarily, she reminds him--in order to do the work themselves, even though Christmas is coming. The charming town, along with local craftsman Caleb Colton, pulls on both Wendy and Jackson, who even registers himself for school in a bid to get his mom to move them there permanently. Wendy knows that the most responsible thing to do is to sell the cottage and return to Ohio, but the lure of the sea is hard to resist. What a great holiday story! I loved the setting and while being a shorter book I thought it was well written. Jackson is a great character addition to the story and make me smile many times. The romance is sweet but not the main focus. I thought the single mom lifestyle was also well written. If you are needing a cozy winter read this is the book for you!! I received this book from Revell for free. All opinions are my own.